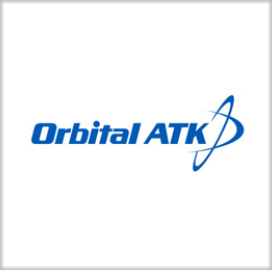 Orbital ATK (NYSE: OA) has received a two-year, $171.2 million contract option to produce a seventh batch of Advanced Anti-Radiation Guided Missile systems for the U.S. Navy and foreign military sales customers. The company will convert 271 AGM-88B High Speed Anti-Radiation Missiles from the Navy into 253 AGM-88E AARGM all-up-rounds and eight Captive Air Training Missiles, the Defense Department said Wednesday. Australia and Italy will also receive a total of 10 AGM-88E AARGM AUR units. The exercised option also includes the delivery of AUR kits and spares to support production and fleet deployment. Work will take place in Northridge, and Ridgecrest, Calif., through March 2020. AARGM uses an anti-radiation homing sensor, a millimeter wave radar terminal seeker and a global positioning system to boost range, targeting and situational awareness. The missile is designed to be compatible with the F/A-18, EA-18G, F-16, EA-6B and F-35.